When it comes to hands-on games to practice reading skills, a good mix includes Active Games, Board Games, and Card Games. 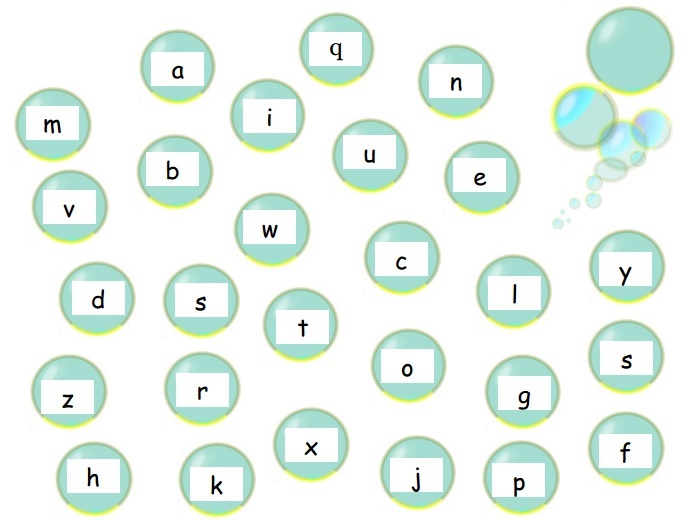 (For free online games for phonics, check out this Symbaloo.) This post contains ideas for each kind of hands-on game. For more ideas, check out the Phonics Kit post. A. Fishing for letters (kidergartencrayons) Match on Bubble Letters (pdf) mat and cover with glass gems . B. nice dice short vowels, or pick a CVC word card from Blog Lovin and move to the vowel sound on the board from Deceptively Educational. A. Word family toss (icanteachmychild) or roll through correct plastic tube into a bucket. B. Word Family Treasure: Write word family endings onto the Word Family Treasure game board. Print cards with word families (flyingintolearning) to draw & match with the endings. Get extra treasure for spotting a rhyming pair. Printable treasure coins at Battle For Sight Words from Liz’s Early Learning Spot. Printable treasure chest from Mormon Share. C. MargD cards: Sort into piles by vowel. Spin a vowel (FCRR) & pick a card from that pile. Use an alphabet arc (FCRR) & make as many words as you can. A. Blend target shoot. Write two different blends with dry erase marker on Solo plastic plates. Mix pictures for the two blends (from flyingintolearning below) to draw and throw a suction cup ball to hit the correct target. A. Pick & Toss – Cut 3 equal size holes in a large box or trifold presentation board. Label the holes AI, EA, & OA. Print Marshmallow Match from thebubblegumtree & cut out the word cards. Take turns drawing a card & tossing a ball or beanbag through the correct hole. 1st one to match & toss all three targets wins. B. Roll a Color Sight Word Game. C. Sight Word Sentence Shake: cut words in columns apart and put into a bottle. Shake a word from each bottle to make a sentence. After learning about Silent e and Bossy R, click on the wheel below to practice the patterns! Make three columns on the top of a page, with the headings: SHORT, LONG, or BOSSY R. Take turns spinning the wheel to choose a column, then roll dice to choose a word. See who can make the longest list of words in 5 minutes. You can also download a worksheet. It can be printed on cardstock and the words cut apart for a word sort. Get many of the board games from the Daily PlanIt in one bargain kit, plus 24 worksheets, 11 word sorts, and more. Learn more about the Phonics Toolkit and get your copy today!